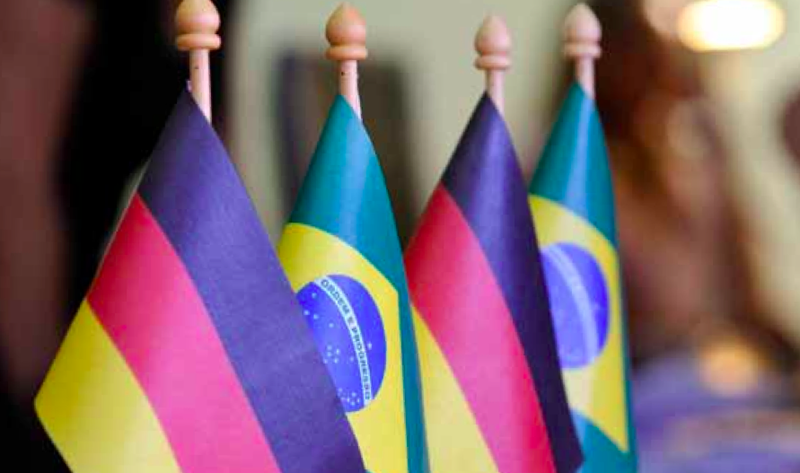 Today the Getulio Vargas Foundation and the Bertelsmann Foundation published a report on Brazil-German economic relations that I had the honor of co-authoring with German and Brazilian economists (this blog is not affiliated with either organizations). The study suggests significant areas of mutual interest between Germany and Brazil. In terms of comparative advantages, the Brazilian export portfolio tacks heavily towards precisely the raw materials German manufacturers require—and lack domestically. Conversely, German producers specializing in high-end technological and knowledge-based goods could find an expanding consumer base both in the burgeoning Brazilian middle class and in business-to-business trade with Brazilian partners. 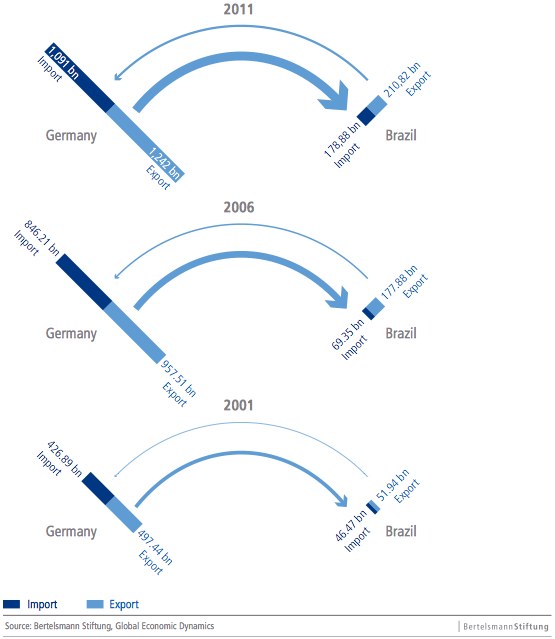 In terms of investment, Brazil would appear to be a prime destination for surplus German savings. For example, Brazil faces an infrastructure deficit while German firms have achieved particular sophistication in this field. For German firms, investment in this sector in Brazil can offer returns currently unavailable in continental Europe. Nevertheless, the relationship has yet to reach its full potential. Brazil’s membership in the Mercosul trade bloc and Germany’s membership in the European Union have hampered the pair’s ability to forward a bilateral trade agreement, as each bloc maintains certain defensive positions that limit the other from exercising its comparative advantages. Capital flows between the two countries—especially long-term foreign direct investments—remain underwhelming. For me, perhaps the most interesting portion of the study is the discussion of a Mercosur-European Union trade agreement—something the two blocs have been discussing since the mid-1990s. …Negotiations officially reopened in May 2010, with Brazil emerging as a key leader in the dialogues…Brazil would very much like to complete an FTA ..but difficulties and hesitations still plague the advancement of the process. On the Mercosul side, Argentina, and to a lesser extent Venezuela, have posed quite a few demands and objections. From the European side, despite the extremely positive rhetoric, not much enthusiasm has been demonstrated in terms of concessions, which actually mimic the pattern of those offered long ago. …On February 24, 2014, Rousseff met with EU leaders to discuss negotiations (GMF, 2014). 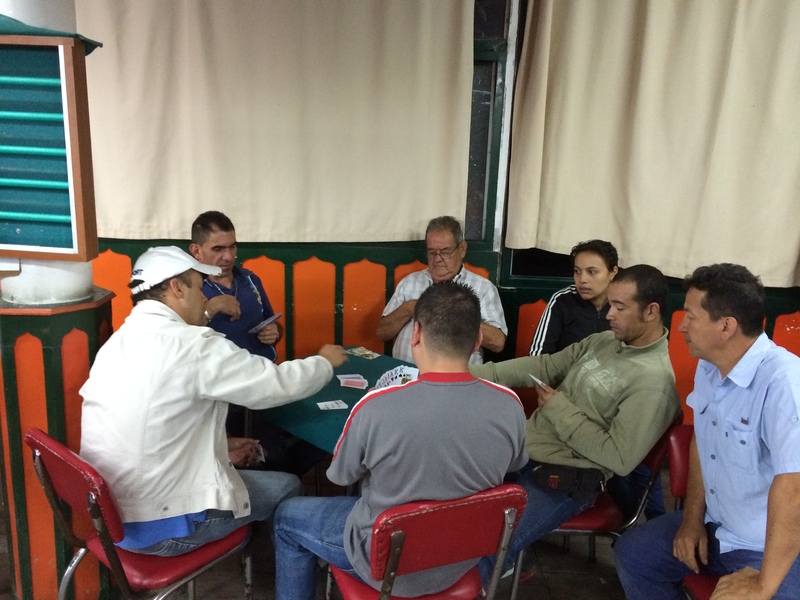 Mercosul members had met earlier that month to discuss a joint proposal on tariff reductions. Additionally, discussions of the potential for negotiations to move forward without Argentina; a so- called “two-speed” negotiation process have emerged. This is kind of a big deal because how EU-Mercosur dialogues play out will likely be indicative for the future of Mercosur. Simply put, Brazil wants a deal, but other Mercosur partners either do not, arn’t ready for it, or don’t want something that comprehensive. Brazil must solve this riddle, perhaps by developing a mechanism that will allow them to negotiate independently of Mercosur. On a recent trip to Bogota, I spoke to Colombian insiders who are watching this process very carefully, as they themselves would like to pursue independent deals with countries such as Uruguay, without having to negotiate with all of Mercosur. They are keenly interested by any precedent set in the Mercosur – EU deal. Brazil is holding some good cards. So what’s their next move? This entry was posted in Uncategorized and tagged Brazil, EU, Europe and latin america, FDI, FTA, Germany, Investment, Mercosul, Mercosur, trade. Bookmark the permalink.